The identity of Zante shall not entail only its beaches, towns and museums. 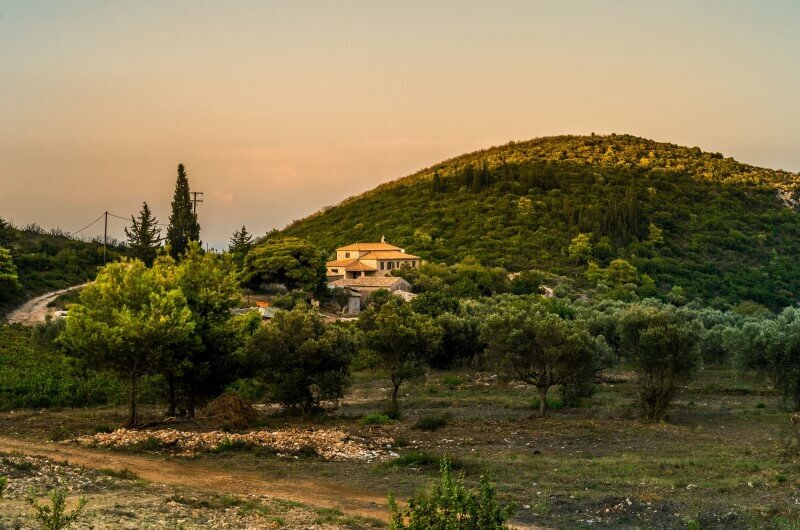 Zante is also its people, their love for land and the fruits it breeds. 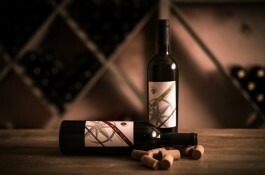 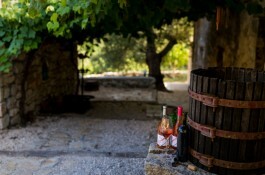 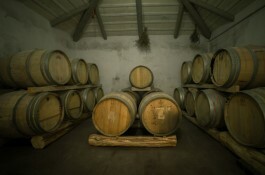 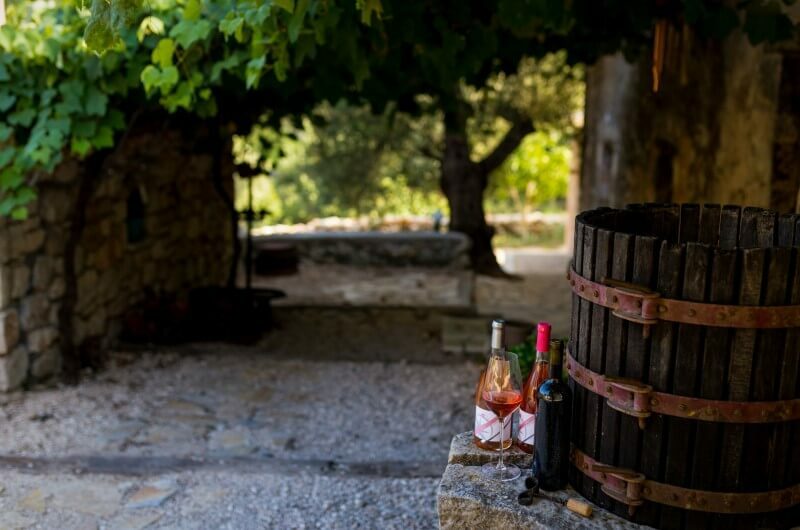 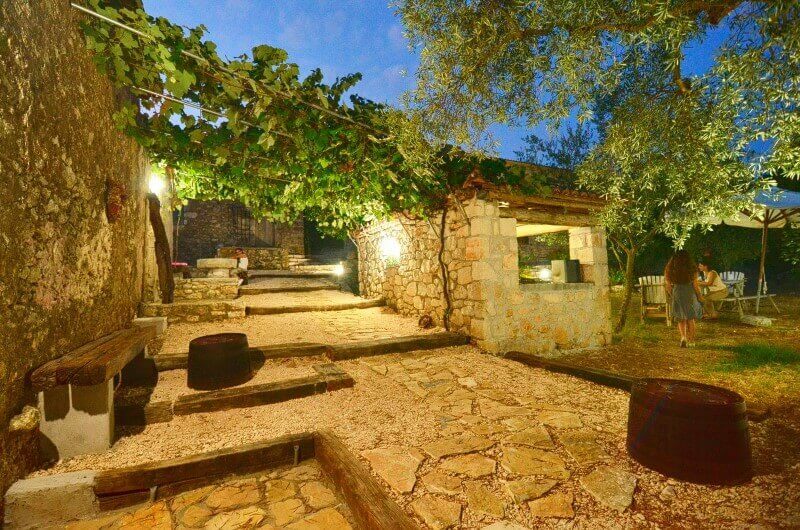 The Giatras-Gkoumas winery & estate invites every visitor of the island to a unique tour by Giatras family itself. 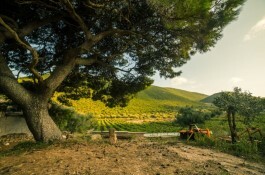 A tour that is most stipulating of one thing; our relationship with our land and nature. Along a verdurous hill, on a property full of olive trees, sycamines and citrus trees, we welcome you to the world of wine making. 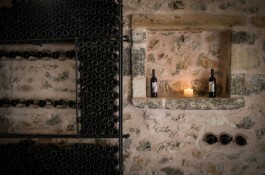 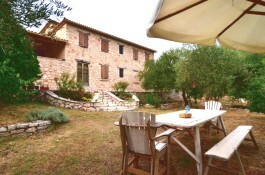 The late 19th century buildings of the estate have been properly renovated, preserving their original style. 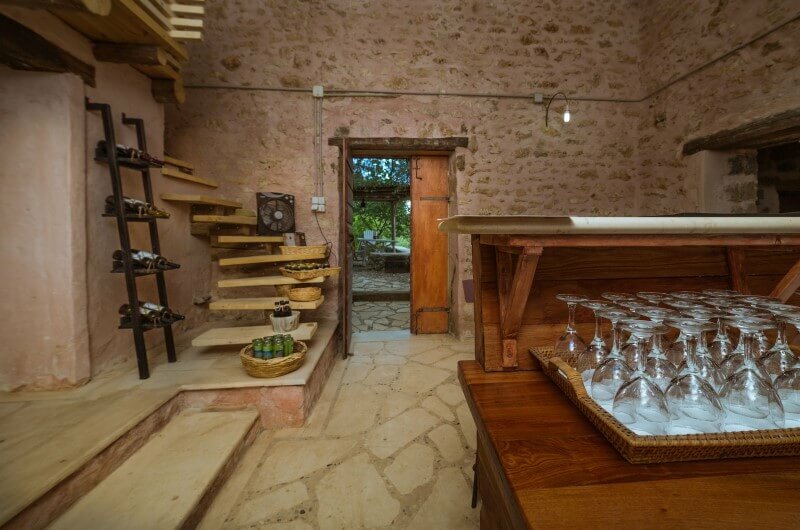 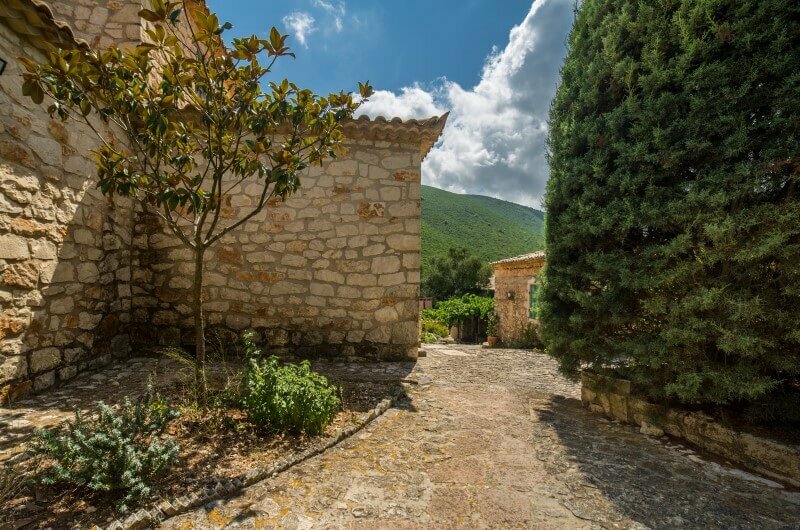 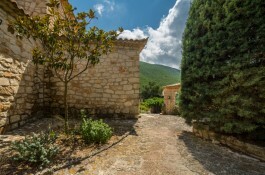 Stone, wood, soil, gravel and all natural materials available within the confines of the estate were used to refurbish the exterior and interior of all constructions. Strolling navigation. 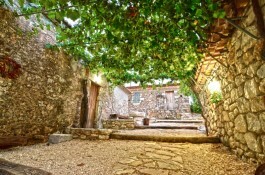 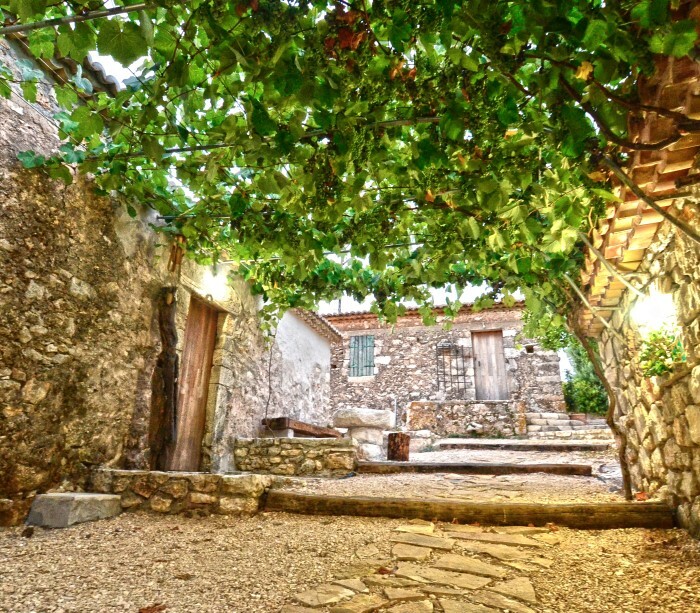 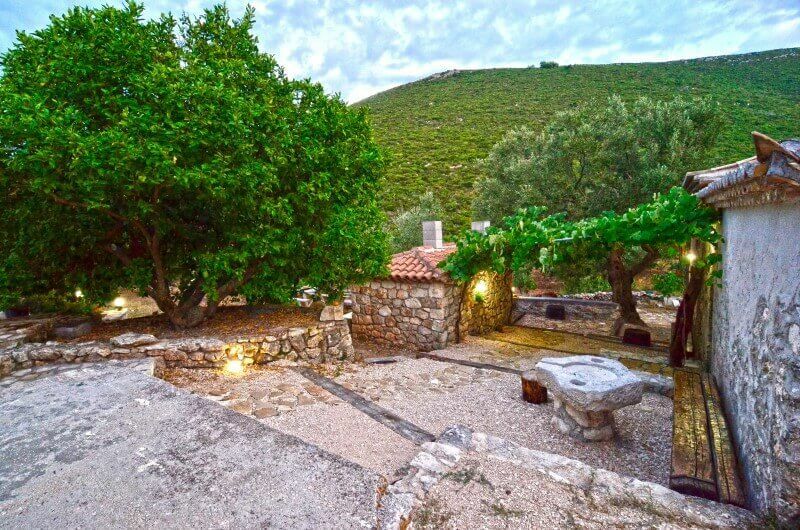 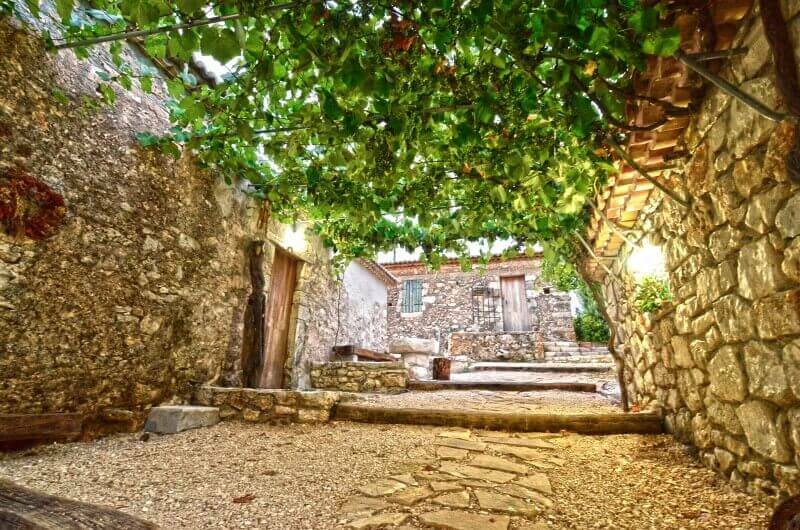 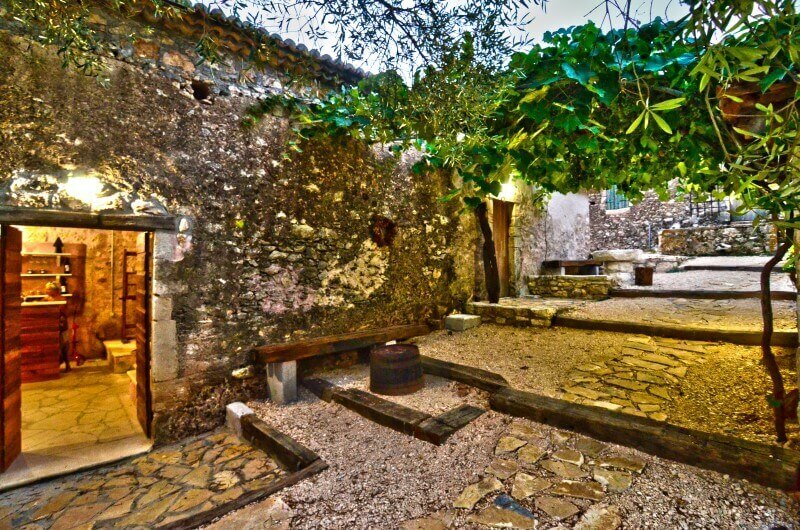 Walk through the cobbled alleys, under the pergolas and along stone pathways, all made by Giannis Giatras. 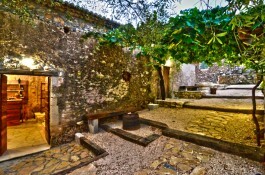 Several sitting spots made of wood or stone allow you to rest any moment. 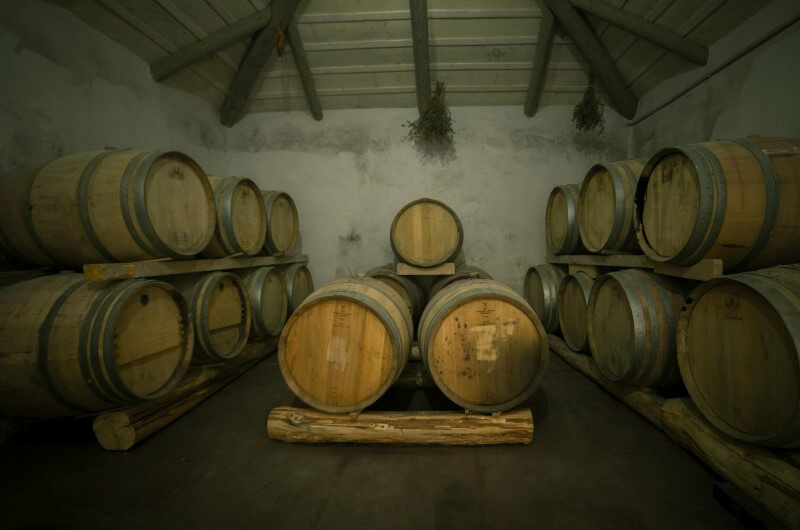 Introduction to traditional wine making. 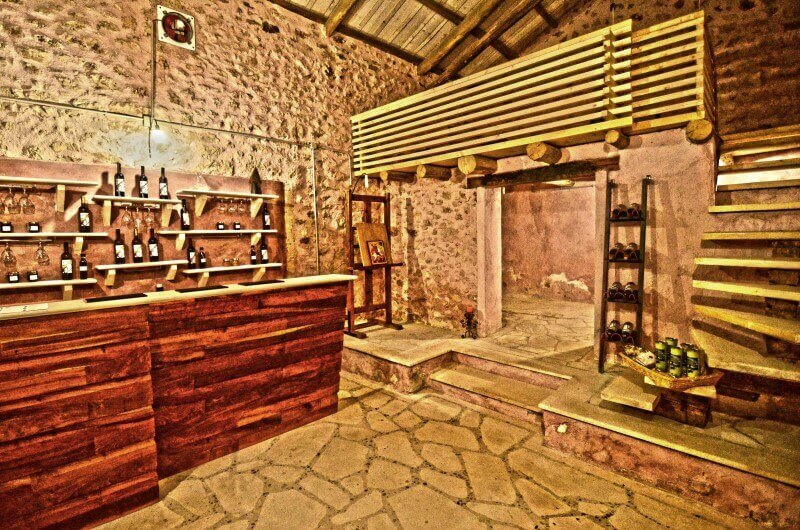 Take a close look at our vines and the store rooms. 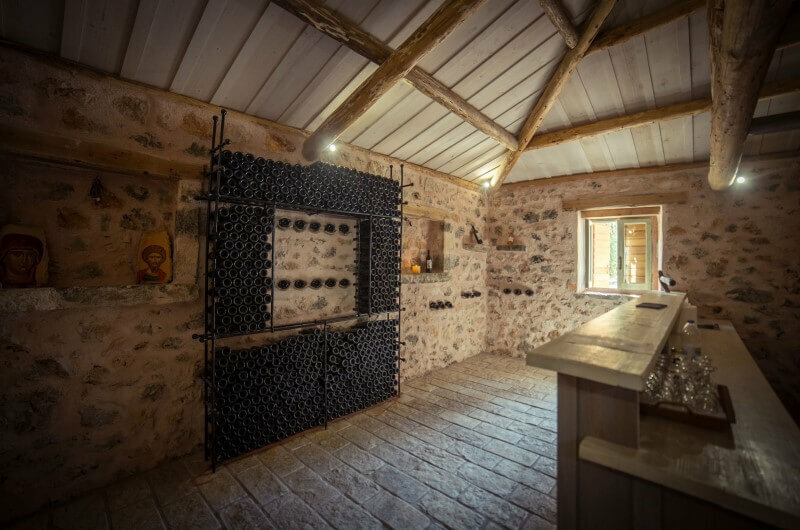 Despoina and Eviana Giatra gladly explain (in English) the progress of this year's crop and answer your questions about grape cultivation and good wine. 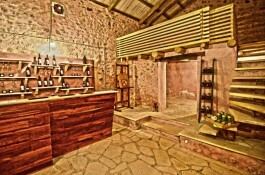 Wine tasting stop in the especially set cellar of the estate. 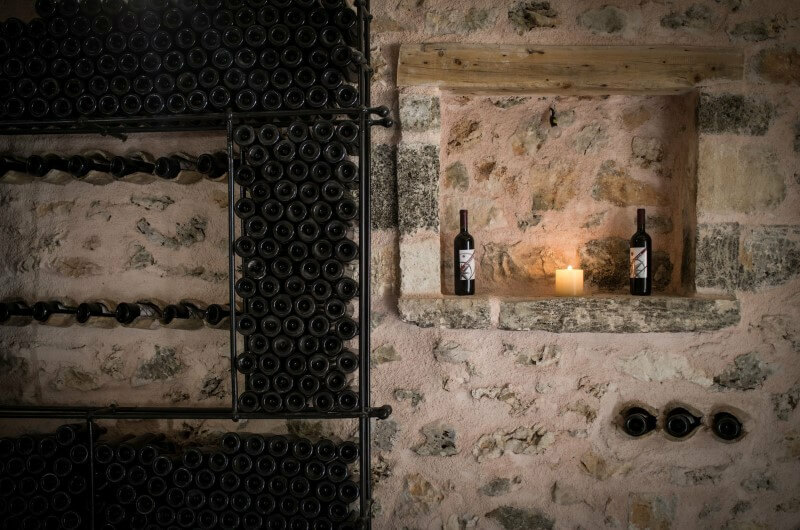 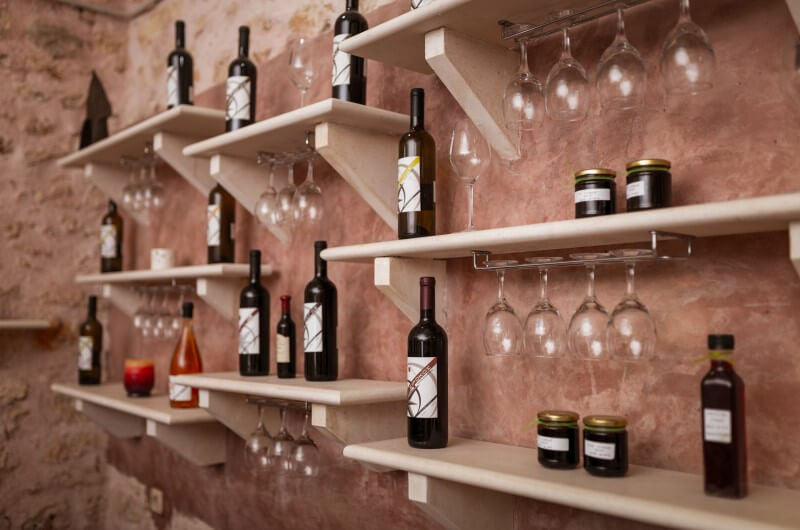 Under the proper, low-light the wine requires, try any of our varieties and enjoy treats made by Despoina. Reverie in our garden. 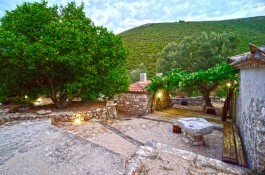 Sit comfortably under the Zakynthian sky, listening only to nature's sounds. 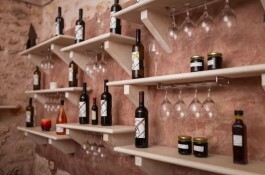 Display of wines, herbs and homemade goods. 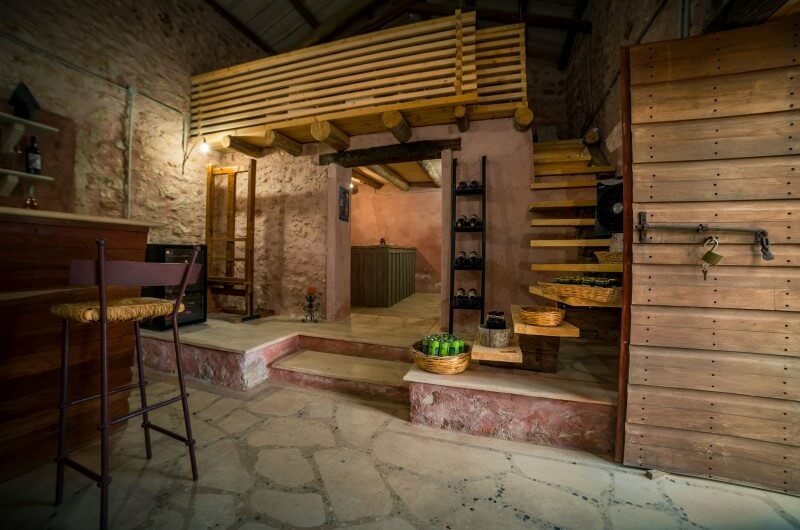 Purchase nature's best for your home or friends. 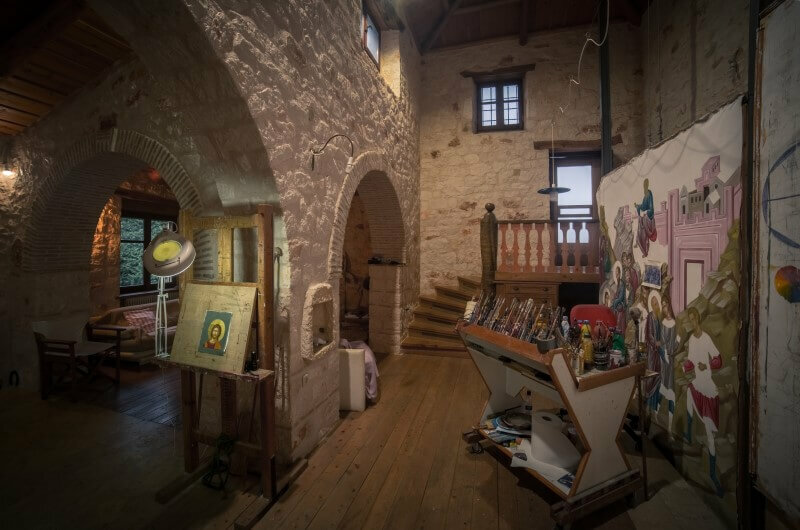 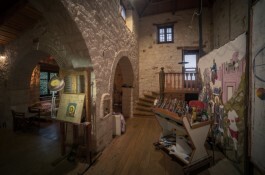 Display of icon paintings, handmade by Giannis Giatras.